Bowling Green is scoring by committee. 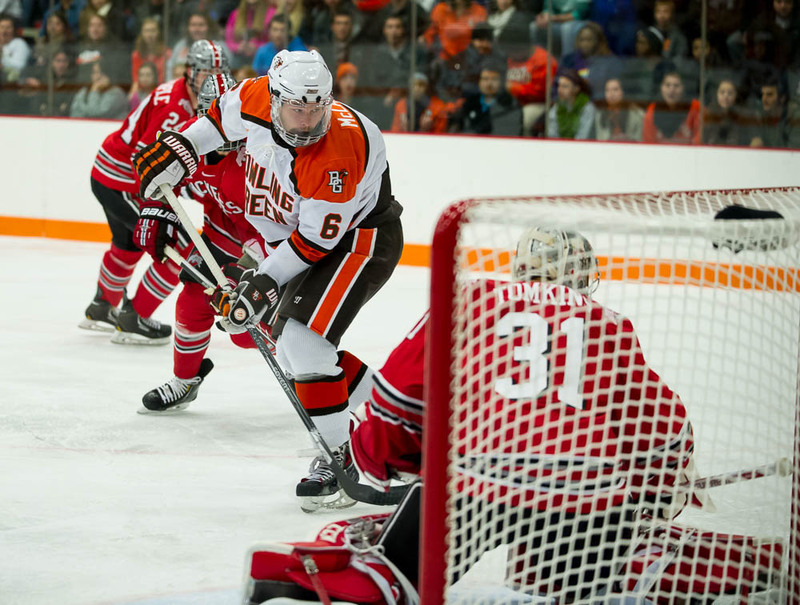 The Falcons have been balanced offensively as they prepare to play Bemidji State in a Western Collegiate Hockey Association series. The teams play Friday and Saturday nights at 7:07 in the Ice Arena. Although BG’s Kevin Dufour is tied for the national lead in goals with nine, six other Falcons have three or more goals. Pierre-Luc Mercier and Matt Pohlkamp, who are Dufour’s linemates, have combined for four goals and 14 assists. All three are sophomores. Freshmen forwards Brandon Hawkins, Mitch McLain, Jakob Reichert and Tyler Spezia have totaled 12 goals and 12 assists. The Falcons are third in the league in both scoring (3.08 goals per game) and power-play conversions (19.1 percent, 9 of 47). “It means a great deal,” Bergeron said of the balanced scoring. “On the nights where one guy, one line or a group of guys aren’t going, you can go to other people and feel pretty confident they’re going to get the job done. 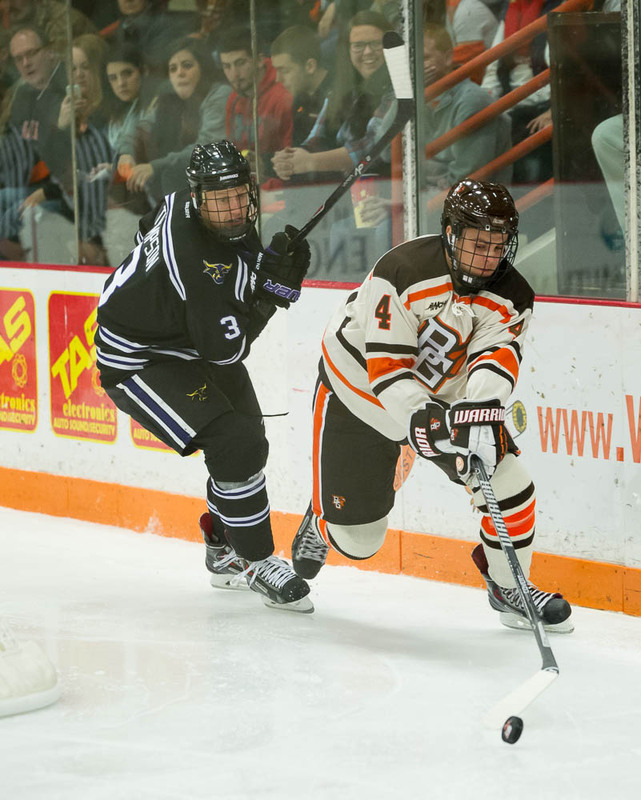 WOW: BG is 8-3-1 overall and 5-1 in the WCHA, even though its top four veteran forwards haven’t produced as expected. Seniors Adam Berkle and Dan DeSalvo don’t have a goal. Junior Ben Murphy has three goals and classmate Mark Cooper has only two goals. Two of Murphy’s goals have come on the power play, and Cooper scored in each game at Alaska (Fairbanks) Nov. 7-8. The Falcons are ranked 18th nationally. “If you would have told me we’d have the record we have with Berkle and DeSalvo, with the numbers they have … again, I’m not criticizing their play necessarily, I wouldn’t have thought (that was) possible,” Bergeron said. DEFENSE: The Falcons are looking for more offense from their defense corps. The added offense from the defense was expected to be one of the team’s strengths this season. BG’s defense has combined for three goals and 19 assists. The Falcon defense still is a young group with three freshmen and a sophomore among its top six. “There’s a bunch of potential back there,” Bergeron said. “A lot of it has to do with we haven’t done a good job of managing the puck, especially in the offensive zone, which has limited our time in the offensive zone. Freshmen Mark Friedman and Nolan Valleau are becoming involved in the rush, as is Dajon Mingo. Mingo is in his first season as a full-time defenseman after playing there part-time last season. Senior Mike Sullivan had one goal and one assist in last Saturday’s 3-2 win over Ohio State, and sophomore Sean Walker also scored in that game. “We’d get the puck to the forwards and watch them do their thing (in the past),” Bergeron said. “Our team was evolving that way with our (defense) getting involved in the back end and some young guys back there who are still figuring it out. HEALTH UPDATE: BG defenseman Connor Kucera will be “in the conversation” to play against Bemidji, Bergeron said. The senior, who provides a physical presence, has missed nine straight games with a shoulder injury. Wednesday marked his sixth straight practice, but the first with full contact. He’ll have another full practice Thursday. “We’ll see how (Thursday) goes, and then we’ll make a decision,” Bergeron said. Bergeron also said a number of Falcons are dealing with sickness with this week. SPECIAL TEAMS: The Falcon penalty-killing is third in the WCHA at 90.9 percent (40 of 44). BG killed off its last 12 short-handed situations, dating back to Nov. 7. The Falcon power play has scored just once in the last seven games, that coming in Saturday’s 3-2 win at Ohio State. BG is 1 of 20 in that span. Bemidji is seventh in the WCHA in power-play conversions at 12.5 percent (6 of 48) and last in penalty-killing at 75 percent (36 of 48). The Beavers are sixth in the league in penalty minutes per game (11.3), and BG is eighth (10.6). SERIES: BG and Bemidji are 2-2 all-time. The Falcons won twice at home last season. 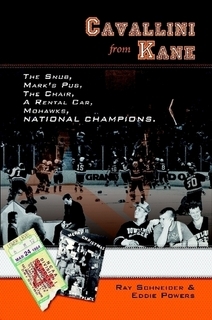 Bemidji won twice at home during the 2011-12 season. WELCOME: Arizona State announced Tuesday it will elevate its club team to varsity status, in anticipation of joining a conference by the 2017-18 season. The Sun Devils are expected to play a schedule consisting of club and NCAA Division I teams next season, and they play a full Division I schedule as an independent the following season. The WCHA and the National Collegiate Hockey Conference both have expressed an interest in having ASU as a member. The addition of ASU could help start the next round of realignment in college hockey. The sport underwent a major renovation after the 2012-13 season. Other members of the Pac-12 reportedly have discussed starting varsity hockey programs.